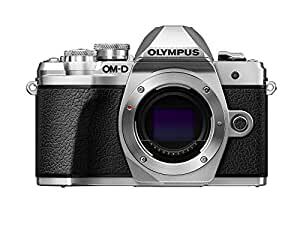 The Olympus E-M10 mark III has been specially designed for people who love photography and need the perfect system to get started. The E-M10 mark III is small and lightweight so it’s convenient to take everywhere. The new intuitive touch screen interface and shortcut button make camera settings easy. Touch AF lets you instantly focus and trip the shutter with one touch of your subject on the tilting screen. And with foolproof in-body image stabilization, you’ll easily shoot blur-free stills and smooth 4K video, all handheld, no tripod or other stabilizing gear needed. Start your photographic journey with the E-M10 mark III.